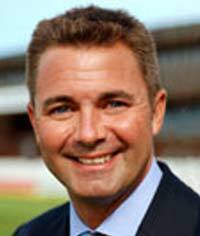 Derbyshire County Cricket Club has recorded a profit of £3,395 for the financial year ending December 2013; the Club's third successive year of surplus. The latest profit signifies the Club's progress towards long-term sustainability and continues the significant turnaround since Chris Grant's (left), election as Chairman in 2011, on the back of a £187,037 loss. The Club has achieved major rises in Membership, Ticket Sales and other commercial income in 2013, which allowed increased investment in the playing and coaching budget to become a possibility. Ticketing and Membership income soared by 87.6% as strong marketing initiatives in the first year of the Proud to be Derbyshire brand ensured that the opportunities provided by promotion as Champions to Division One, the signing of Shivnarine Chanderpaul, the excellent summer weather and a winning start to the Friends Life t20 campaign were maximised. The Friends Life t20 home match versus Nottinghamshire sold out in advanced and the Club hosted its best-attended Chesterfield Festival of Cricket since returning to Queen's Park in 2006. The launch of the 1870 Business Club also proved to be successful with over 70 local Derbyshire businesses attracted to the Club, more than doubling the previous year. Chief Executive Simon Storey (left), said: "We took the decision ahead of the 2013 season to increase our cricket budget by upwards of £200k as a step towards our ultimate ambition for sustainable success on the field. "The challenge to service that increase with a combination of incremental income and cost control was significant. "Achieving this financial result is, therefore, testament to the hard work and dedication of everyone involved as we strive for continued growth behind the scenes in order to fund our on-field goals. "The year 2013 ended with some challenging decisions to streamline the off-field operation - and to ensure our ability to increase investment in playing and coaching resources for 2014 and beyond. "It's important that we now continue the momentum and move forward as a business during the current year. "As we target a quick return to Division One of the LV= County Championship, our level of investment in cricket and the Elite Performance Coaching Structure will be maintained and the early signs with regards Membership, sponsorship and the 1870 Business Club are very positive." 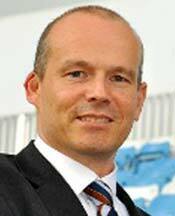 Chairman Chris Grant added: "It remains our overriding aim off-the-field to increase revenue from all sources in order to support further investment on the cricket side. "The year 2013 saw further huge strides in this aim, whilst also ensuring that we once again balanced the books with a modest surplus. "The sterling efforts of the off-field team allowed us to increase investment on-the-field but still post a surplus for the year; an excellent achievement given the current economic climate. "We are thankful for the support of our members, supporters, sponsors, 1870 Business Club members and conference customers for their loyal support. "Their continued backing is vital as we push for long-term sustainable success both on the cricket field and as a business."